Dental Trends That Will Live Forever: Flossing, Routine Dental Exams, and Brushing Twice Per Day are healthy dental trends that will live forever. 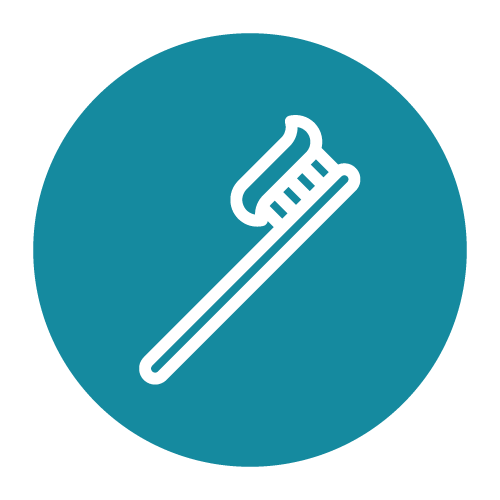 Do you have a daily routine to take care of your teeth and oral health? As one of the top dentists in Lawrenceville, Polished Dental encourages a healthy dental routine that includes dental exams, brushing several times per day and one of the routines that’s easy to overlook: flossing. Brushing your teeth, flossing, and routine dental exams are important for every Pittsburgh resident, including those in Lawrenceville and beyond. Here is what you need to know about what these dental care routines involve and how you can better care for your teeth. How Often Do You Need Dental Exams? Occasional visits to the dentist during the year make a big difference for your dental health. Even young patients in their teens or 20s can develop gingivitis and periodontal disease without proper dental care, and knowing the status of your oral health can keep help you prevent impending dental problems. According to the National Institute of Dental and Craniofacial Research, microbial infections, such as those caused by bacteria, viruses, and fungi, are the primary cause of most oral diseases today. This includes dental caries, otherwise known as cavities and tooth decay. These are two common yet serious oral ailments that can easily be prevented and treated with routine dental exams. How frequently you visit the dentist depends on your current oral health. According to Colgate, the twice-per-year advice on visiting the dentist may have come from Pepsodent toothpaste ads in the 1950s. Many patients find that their oral condition requires more frequent cleaning and examination, and dentists often recommend three or four professional cleanings per year. Dental care is most successful when each patient receives a recommendation customized specifically for the current condition of their mouth, as well as their dental and medical health histories. Don’t just assume that you are a once per year or once every other year dental patient, and ask your dentist what dental health schedule is best for your mouth. During a typical dental exam, your teeth are cleaned by a dental hygienist, who communicates anything that is found during the cleaning to the dentist. Your Lawrenceville dentist will then evaluate your entire mouth to inspect for problems areas that are currently present and areas that may develop into problems in the future. X-rays and photographs are often required in order to fully diagnose teeth, and your dentist will explain how often these are required, based on your current dental health condition. Your dentist will also discuss routine methods to prevent dental problems, such as professional fluoride treatments. 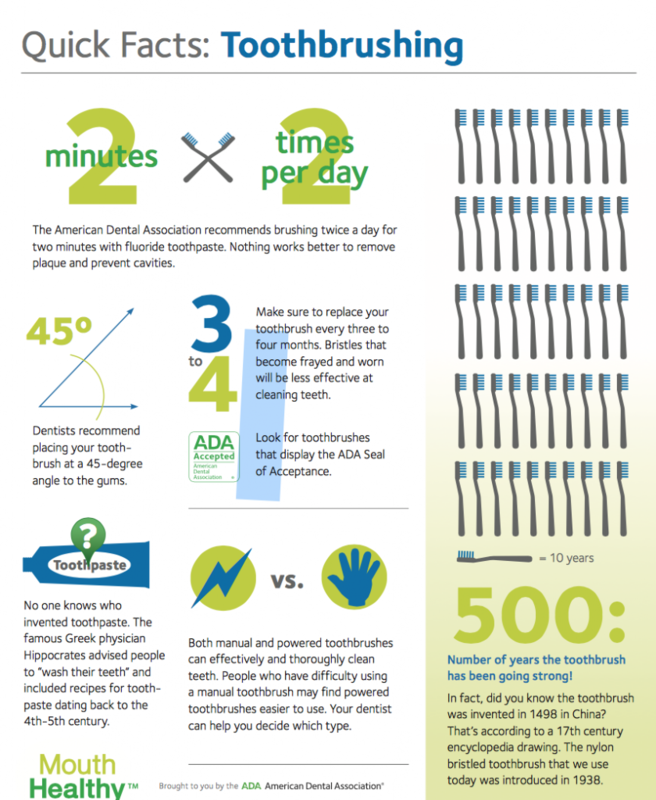 This infographic from the American Dental Association gives additional information on brushing your teeth. Aim to brush your teeth for two minutes per day, twice daily. Replace your toothbrush every three to four months. It’s the one preventative dental care step that’s easy to forget, but it can make a big difference in your oral health. According to the Academy of General Dentistry, flossing is the number one preventative measure against plaque buildup. This is because floss is highly effective at removing food particles from the mouth that would otherwise stick to the tooth’s surface. If the toothbrush doesn’t reach the food for removal, it will form as plaque. Plaque is the substance that is formed from leftover food combined with saliva. Plaque eventually turns into tartar, which may require professional cleaning to scrape it away from your teeth. Polished Dental isn’t just a dentist in Lawrenceville. We also service the areas of Morningside, Shadyside, Highland Park, Robinson Township, and downtown Pittsburgh. We are the Pittsburgh area’s go-to dentist for dental exams, cleanings, and cosmetic dentistry such as Zoom teeth whitening, porcelain veneers, and even Botox injections and dermal fillers. Contact us today to schedule a dental exam at 412-281-3546. You can also contact us to learn about our financing options and flexible payment plans.